Matt Ruskin's drama Crown Heights premieres tonight in Park City. 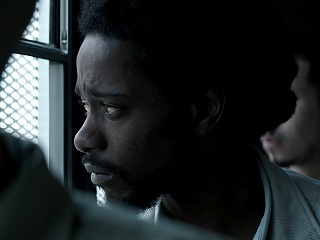 World premiering tonight at the Sundance Film Festival, Crown Heights reconstructs the harrowing true story of Colin Warner, whose wrongful conviction for a murder in the Brooklyn neighborhood becomes the lifelong cause of friend Carl King. Ruskin says that among the inspirations for the film’s look were Bruce Davidson’s book Subway, which he calls his “favorite time capsule of 1980s New York.” Listen to the original 2005 This American Life broadcast here.